Prominent & Leading Manufacturer from Kolkata, we offer motorized dampers. With our rich industry experience, we manufacture, exporter trader and supply a supreme quality range of Motorized Damper. 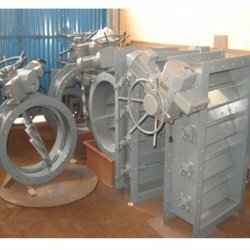 Used for flow control system, the offered damper is manufactured by our experienced professionals using high grade raw material with the help of latest technology. Also, it is used to cut off central air conditioning. This Motorized Damper is available in varied technical specifications as per the need of our clients at pocket friendly prices. Looking for Motorized Dampers ?